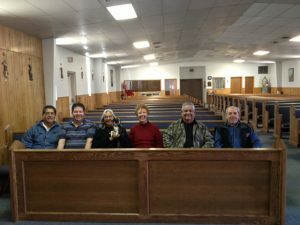 We’re delighted by how good the new pews look installed in a Grants, New Mexico church. We began the week with an installation of benches in a courthouse in South Carolina. 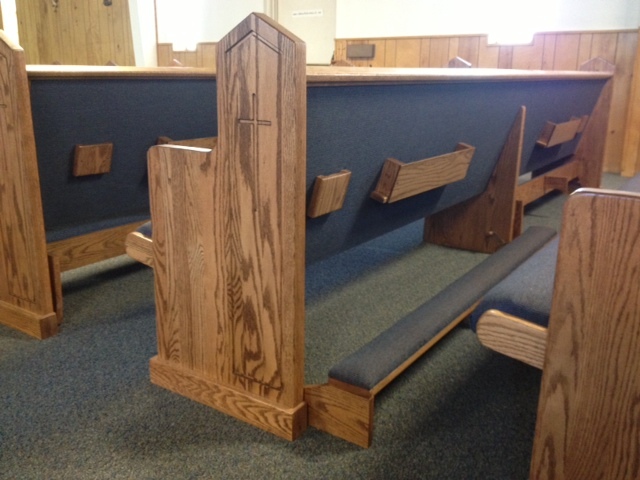 We came along to New Mexico to install these lovely pews. We’re heading on to Salt Lake City next, and then we’re heading home to Oklahoma — by the end of the week, we’ll have traveled more than 5,000 miles! This installation is at St. Vivian’s Catholic Church. 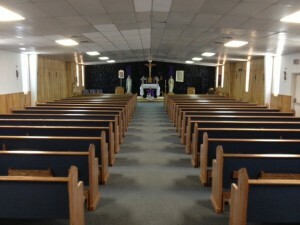 Here you can see solid oak traditional pews with crosses and kneelers, upholstered in a beautiful shade of blue. You can see that the look of these pews really complements the sanctuary. And of course the most important part: the smiling faces of the people!